The Galactic Center (GC) is the mysterious and complex bright core around which our spiraling galaxy rotates. It cannot be observed at visible, ultraviolet, or x-ray wavelengths because interstellar dust obscures the line of sight. All scientific information about the GC comes from observations of gamma ray, hard X-ray, infrared, sub-millimetre and radio wavelengths. The precise astronomical location of the Galactic Center at approximately 3 degrees Sagittarius (sidereal) was first verified in 1918 by Harlow Shapley. However its energetic connection to the earth was not realized until 1932 when Karl G. Jansky, an engineer working for Bell Telephone, was investigating the source of the static interference with overseas telephone lines. 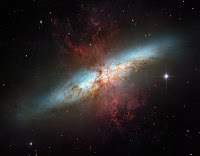 He discovered that the interference was due to radio waves being emitted from the center of the galaxy. The source of the radio waves appears to be located almost exactly at the Galactic Center, and may coincide with a super massive black hole. This black hole has the equivalent mass of 4 million suns and is the source of most of the gravitational energy in our galaxy. In 2002 Antony Stark and Chris Martin presented research that indicated evidence of episodic star bursts at the GC in which many stars undergo supernova explosions at a hundred times the current rate. They believe these explosive events occur every 500 million years with the next one due in 200 million years. The effect on earth would/will be cataclysmic. Some scientists even theorize a pulse generated 200 million years ago may have been responsible for mass extinctions, thus inferring that these pulses are responsible for shifts in evolution. Although their calculations may be a little different than modern ones, ancient Vedic and Mayan seers described similar phenomena. 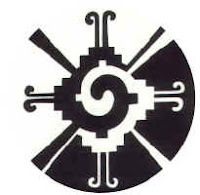 The Maya had a glyph (see above) for the Galactic Center called Hunab Ku, the supreme God and ultimate Creator. To them it represented the gateway to other Galaxies beyond our Sun as well as all of the Consciousness that has ever existed in this Galaxy. Hunab Ku is liken to a womb that births new stars and it gave birth to our own Sun and planet Earth. The Maya also described periodic bursts of energy coming from Hunab Ku that influence life and consciousness here on earth, and the Mayan Calendar marks these cycles, which some believe are to coincide with the conclusion of the current cycle in 2012. 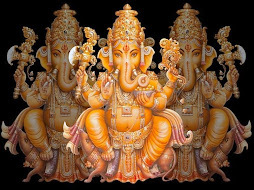 The ancient seers of the Vedic culture referred to the Galactic Center as Vishnunabhi, or the navel of Vishnu. It is a marker for the ascending and descending yuga cycles that are measured by our Earth/Sun relationship to it (ie the pole star alignments at the solstices). Its location at the end of the final Gandanta series is intriguing. As I wrote in a previous post, each of the Fire signs are the portals to soul growth. Aries marks the beginning of the soul's journey, the individuated or inner self; Leo develops the outer self and material; and Sagittarius designates the point at which the soul turns away from the material as it seeks to merge with universal consciousness. Since the GC falls in the early degrees of Sagittarius, it marks the gateway to this transition. Therefore, planets transiting this space channel energy from that portal to our solar system, and depending on their nature express messages from the core to those of us on Earth who are listening -- and willing to evolve. In 2005 Edith Hathaway published an article on Pluto's transit of the Galactic Center entitled Pluto in Kali's Zone. She writes: "The two nakshatras most associated with Kali are Jyestha and Mula. . . In this particular transitional area, the mythic battles between the Devas (the gods of light) and the Asuras (gods of darkness) became the most intense. . . For the first time in 248 years, transiting Pluto hovers at the exact border of these constellations for much of three years: from Nov. 2004 thru Nov. 2007. As it marches towards the Galactic Center, we have perhaps a major turning point in the history of civilization as we know it. Pluto, or indeed any planet slowly crossing Kali’s terrain, enters into an arena where it is now more visible and recognizable." Although Pluto is not one of the visible planets usually discussed by Vedic astrologers, Neo-Vedic astrologers still value it's mythological and allegorical use. And despite the IAU's (International Astronomical Union) demotion of Pluto to dwarf planet, its message to those watching its position is not diminished. Pluto is still an indicator of death, rebirth and powerful transformations. It has been transiting this critical point in space since November 2004. And although its "exact" conjunction with the Galactic Center occurred on December 29, 2006, July 18, 2007, and will occur on October 28, 2007, it seems to me to be cumulative. In addition to Pluto's transit of the Galactic Center, I am watching Jupiter's upcoming transit to it in the Gandanta degrees -- between November 8 - December 5, 2007. 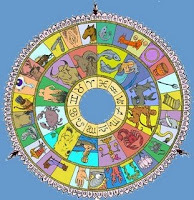 As the great benefic, Jupiter is significator of happiness, knowledge, learning and expansion, and rules Sagittarius. Jupiter changes signs from Scorpio into Sagittarius on November 21, 2007, and promises to bring hope and quest for the truth. In its own sign of Sagittarius Jupiter becomes more powerful and is able to express theses innate qualities. But in the nakshatras of Jyestra and Mula it may have a little bite. Jytestha is ruled by the deity Indra, the dragon slayer. Under this nakshatra the chief motivation is to conquer and to gain supremacy. The presiding deity of the following nakshatra, Mula, is Nritti – the goddess of destruction. Nritti is one aspect of Kali, the destroyer of illusions, and her purpose here is to help us break apart and destroy things, making room for a new creation based on a new foundation. Mula may inflict pain, but it is intended to keep us on the right track to God-realization. Jupiter conjoins Pluto on December 11, 2007. By the winter solstice Jupiter, Pluto, Mercury and the Sun will be drawing down energy from the Galactic Center, enhanced two days later when a full moon conjoins Mars in Gemini. This powerful alignment may present political or fanatical religious conflict destroying things that aren't working. 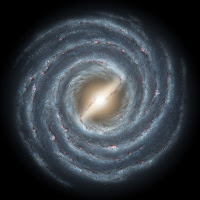 At the same time it may indicate a window of opportunity when we may be more open to receiving and understanding the messages from the source of life, the mula or root of the galaxy, the Galactic Center. Your voice comes to me as warmth in a cold world, as lightness to heavy burden... you strengthen my belief that we can, indeed, transcend the world of ego. an aspect of our culture's collective renewal.